As you may well know, plant tissue culture can enable us to propagate large volumes of plants in a relatively short period. However, before this rapid multiplication can commence, we first need to initiate our target plant (Stage 1). Also, we need to develop and establish a protocol for multiplying plant tissue (Stage 2). Then protocol for the final stage of ex-plant rooting needs to be developed (Stage 3). The first stage of the plant tissue culture process is the initiation. This is the process whereby plant tissue is sterilized and 100% of bacteria and mold is removed. For the process to be deemed a success, the sterilized plant tissue should be able to regenerate and show signs of plant growth. Healthy plant tissue should be selected for cleaning. Plant tissue can then be taken to the laboratory for pre-sterilizing treatment. Which may consist of a pre-soak in a solvent type solution to dissolve any remaining plant oils. 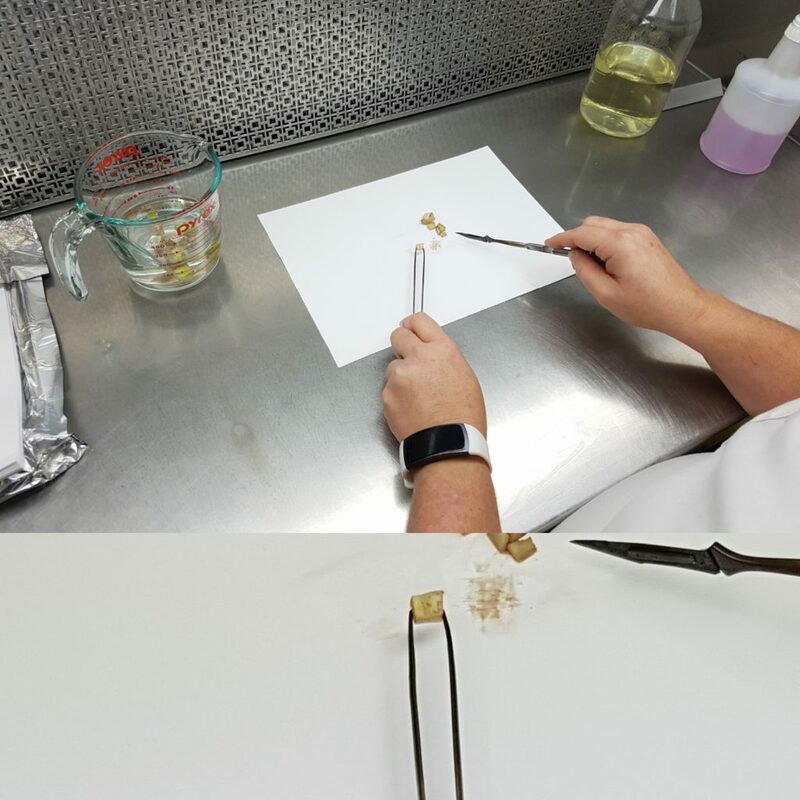 The plant tissue is usually dissected further at this stage to reduce the total surface area. 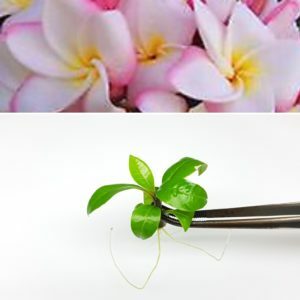 Now, the plant tissue is then subjected to strong sterilizing agents such as Sodium Hypochlorite. After a pre-determined amount of time, the plant tissue must be thoroughly rinsed to ensure that all of the sterilizing agents have been removed. The plant tissue is then dissected further to create a fresh wound. These pieces of plant tissue are then placed onto a nutrient rich media. At this point, we have finished the initiation process. There are of course many variations to the steps above and in some cases, certain steps are repeated. After a week or 2 has passed, we will be able to identify if our initiation was a success. Multiplication of plant tissue, also known as ‘Stage 2 Tissue Culture’ is where we try to establish rapid plant growth and shoot proliferation. 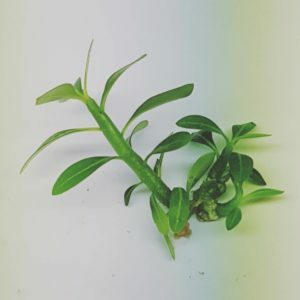 As part of the plant tissue culture process, a great deal of knowledge of plant biology is needed to help develop a protocol that can not only prove to return a high yield in the laboratory but also ensure that the plant structure will be strong enough to survive beyond the lab environment. Furthermore, of equal importance is to mitigate any chance of mutation, as it can be easy for the un-experienced or greedy lab technicians to overdose plants with hormones and destroy a clone with mutations. A great deal of knowledge of plant biology is needed to help develop a protocol that can not only prove to return a high yield in the laboratory but also ensure that the plant structure will be strong enough to survive beyond the lab environment. Furthermore, of equal importance is to mitigate any chance of mutation, as it can be easy for the un-experienced or greedy lab technicians to overdose plants with hormones and destroy a clone with mutations. Furthermore, of equal importance is to mitigate any chance of mutation, as it can be easy for the un-experienced or greedy lab technicians to overdose plants with hormones and destroy a clone with mutations. A multiplication rate in a range of around 3-6 every 4-6 weeks. This is considered to provide the best possible combination of plant health and multiplication. There should be no vitrification, also known as hyperhyrosis. This is when the plants take up more water then they can expell. This results in extreamly weak plant tissue. The overall health of the plant tissue itself, should apear to be strong and have good color. This stage can also be the most lengthy, as it can take some time for plants to adjust and transisition to the tissue culture enviroemnt. It is not uncommon for this stage to take anywhere from 6-12 months. Rooted explant of Plumeria ‘Wipa Delight’. Now that we have established rapid multiplication of our selected plant tissue, we need to develop a suitable protocol to develop roots on our plantlets. In most cases, this is usually the easiest step as most plants in-virto are soft and herbaceous and therefore easy to manipulate. However, there are times that for whatever reason, some plants simply are not able to produce roots easily. In these instances, we need to go through extensive trials to discover a method to induce rooting on the recalcitrant variety. Adding a range of different constituents to the media. Growing the plants under differing temperatures and phototrophic periods. In some very rare cases, we are simply unable to produce roots on our plantlets. In the past, this has not been as issue, as we have found that the un-rooted plantlets grew roots very quickly in the greenhouse.